Good evening everyone. 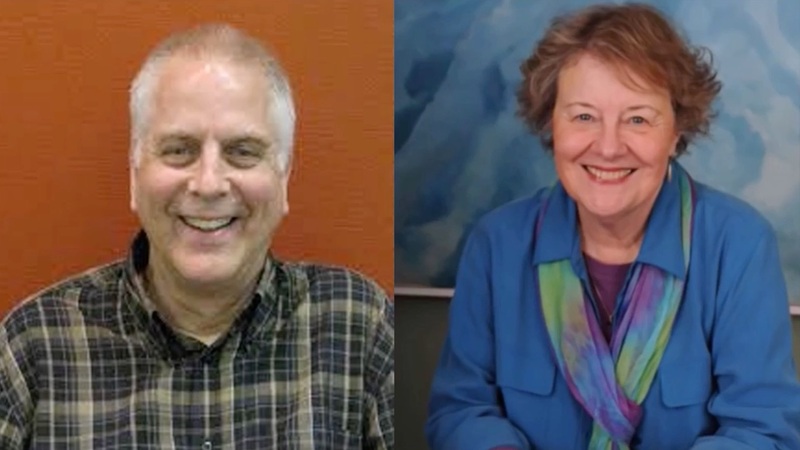 I’m Steve Bekow chief editor of the Golden Age of Gaia and Linda is away on Holiday and so I’m absolutely delighted to have Sue Lie here with us and through Sue I’ll be talking with the Arcturians. I’m looking forward to talking to the Arcturians about their society and their life style. SL: These are good questions. I never thought of that, so we’ll just have to ask them. Whatever I say is what they say because I don’t have a clue. SB: (laughter) One that you don’t have a clue on. SL: The way that I experience them is like there’s a tapping inside of me and there is a calling inside of me and other than that, I don’t really see anything. I feel it. SB: What do you feel? Like when they come in what do you feel? SL: Unconditional Love. Yes, there’s really a lot of unconditional love and a kind of trust. SB: So, fifth-dimensional love, seventh-dimensional love? SL: I’ve never asked what dimension it was. SB: Well, all love at a certain level is unconditional, right? Love Is unconditional. But, it would have to be unconditional love? I understand. SL: Well, the Arcturians are multidimensional, but I think that they hang out more in the ninth or tenth and beyond dimensions. SB: We don’t really have a description of their society and lifestyle from them from themselves. We have a lot of people talking about which I don’t get the sense is accurate. So here we go. We’ve got an hour to get all the details we can from them. SB: I’ll give you time to make your transition. SL: Yes, I really have to raise my consciousness for this one. Arcturians: Steve Bekow, we are very happy to have this communication with you. SB: We are very happy to have communication with you by the way. We would like to spend this hour just listening to you describe where you come from, because some people say a planet. Some people say a star. Some people say it’s no place of form at all. And so we don’t know anything about that. We don’t know what your lifestyle is. We don’t even know what form you have or take when you do take form. I understand you’re multidimensional. That’s all we know there. So we know very little about you for sure and if you could, tell us about you as Arcturians. I think the information would be very welcome. Arcturian: And, if you could give Suzille some help and ask some specific questions that would be helpful for her. What’s your first question? SB: First of all, where are you from? Specifically, when you call yourself Arcturians, which implies that you’re from somewhere, where is that? Arcturians: We are actually from Arcturus, which is a star. 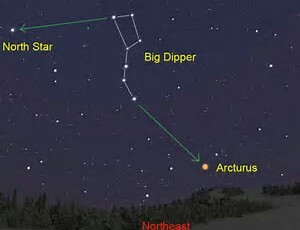 And if you look at the handle of the Big Dipper and follow the handle out to the end, then you go off a little bit to the right and down a bit, you will see Arcturus. This is a little story that was interesting. When Suzille bought this house, her and her husband had to get as much out as they could because the moving vans had already left and they had to drive up through the night. It’s a five-hour drive. They arrived about two or three in the morning because they had to be there for when the moving vans were there to open the door. So they got in and they went upstairs and looked out the windows and there was the big dipper and Arcturus right in the middle of window. Arcturians: There are no mistakes and there are no accidents. SB: So is it enough to know that you are from the constellation Arcturus? Where in the constellation are you from? Arcturians: Well, it is difficult to put that answer in human terms because we don’t hold a “solo body” in the manner human’s hold a solo body. We are multi-dimensional beings therefore we can resonate as low as the higher fifth-dimension and as high as the twelfth dimension and beyond. The higher that the resonance rises, the less there is any sense of individuality. In fact, what we would think of as “individuality” would not be at all what you would think of as individuality because our bodies do not have sharp edges. SB: When do you take a body? Arcturians: When we choose to, we can take a form. There have been others that have channeled how they perceive our form, but it is partially their perception and partially our form. We would only take a form if a person really needs us to take a form. Then, we would be automatically reading that person’s needs and that would influence the forms that we would take. SB: I guess the implication of that, is that if any of the representations of you thus far are accurate, they’re only accurate in representing what’s in the person’s mind who is seeing, right? You took the form that they could understand, that they want to see. Is that correct? Arcturians: We would take a form that they could understand. We are not concerned with whether or not they would want to see it because, if they don’t want to see us, we would know that we wouldn’t be communicating with them. SB: So form is not a big consideration in your minds. I was going to say that on a normal day, but you don’t have days so it’s just not a big consideration with you. Is that correct? A: Yes, a form is not – it’s an essence. Instead of saying that we have a body, we would say that we have an essence. And, there is some variation within our essences. There really isn’t a male/female gender type of essence. But, some of us when we say, Arcturus, we mean the star Arcturus and there are, as you can imagine, many different stars and each star has different planets. So there are many different versions of different realities in which we live. And, just as one might travel around the United States, we would travel around our galaxy of Bootes. SB: So, when we use the word Arcturian are we referring to a galaxy, or a constellation? I think a constellation is bigger than a galaxy, isn’t it? I’m not sure. A: There is a constellation of Arcturus and galaxy of Arcturus. And the words, again there are words that are created from a human mind where it is on form and labeling. SB: Right, I imagine if I asked you the name you use for yourselves, I probably couldn’t understand it because your language would be different. Is that correct? A: Yes, it would be something that you would instantly receive within you. SB: Would I be able to make sense? Some languages are hard for us to even hear because we’re not used to thinking of that as a language. A: Well, we the Arcturians are kind of accustomed to speaking in human language. And also there is a galactic language, which is basically telepathy where everybody reads each other’s minds. We work with the Pleiades and the Sirians and many of the other beings. We’re constantly interacting with all the beings – primarily the Pleiaidans, the Sirian and the Andromedans, even though they are not of Earth’s galaxy they’re still very helpful and we all work together because the galaxy in which you live is going through a beautiful transition. A beautiful transition! SB: Do you want to say a little bit more about that transition? It will take us away from our main subject, but if we could talk about it for just a wee bit. So, the whole Galaxy is going through a transition? A: That answer could be infinite. So ask a specific question about it? SB: Are there more planets in the galaxy that are going through this transition that we’re going through? A: Yes it is quite normal. Just as it is in the human form when one ‘dies’ – they don’t die they just move into a higher frequency of reality. And, the higher frequency of reality have a greater freedom in terms of time and space. Time and space is limited to third dimensional, fourth dimensional conceptions. Even in the fifth-dimension – that’s the transitional dimension. SB: From duality to non-duality, is that correct? A: Yes, there’s only here. There’s only Now. SB: You have observed our life style, have you not? It of course is dependent upon food, so we do a lot of eating or preparing, or shopping or things like that. But, you see and of course we have time and space and therefore we have these nights and days and circadian rhythms. What do you say about your own lifestyle? What can you tell us about your own life style? A: Our lifestyle is one of service. And, we don’t have a need for jobs. We don’t have a need for food; we don’t have a need for a home. We don’t have a need for a profession. We don’t need any of these third dimensional things.